Need customer acquisition training? Get a guaranteed traffic plan and system for acquiring new customers from all traffic platforms with DigitalMarketer's Paid Traffic Mastery Certification. Learn more here. Want to reach millions of potential new leads and generate thousands of new customers? There are countless ways to generate paid traffic online, including dozens of ad networks, solo ad providers, social media sites, native ad networks, and more. The Google Display Network (GDN). There’s one reason why you should focus on the GDN, and it can be summed up in one word: potential. That’s why, in this post, I’ll be sharing a new system I developed for building effective ad + targeting combinations for your campaigns. Think of The Display Grid as your one-page “cheat sheet” to building out effective Google Display campaigns. In Part 1 of this article, I’ll cover the top row, which includes all the different targeting options in The Display Grid. And in Part 2, I’ll cover the left column, which includes all the different ad types & formats. Then I’ll cover more in-depth and advanced uses of how you can employ The Display Grid to build more effective display campaigns. Google Display has an enormous reach. Through it, you have the potential to reach over 90% of users online. You can place ads on YouTube, on mobile apps, and over two million websites that monetize their visitors with Google ads. As a result, your ability to scale and reach new users on GDN is nearly unlimited. Keep in mind that Google display ads are different than Google search ads. When many people think of Google advertising, they think of search traffic. Advertising on the Search Network is a great strategy because it puts your ads in front of people who are actively searching for something related to your service. In this case, I searched for “dental dog treats”… so the odds of me purchasing dental dog treats in the near future is very high. (If you smelled my dog’s breath, you’d understand.) As a result, Google Search Ads tend to have a high conversion rate. The downside to search ads is that your audience is limited. 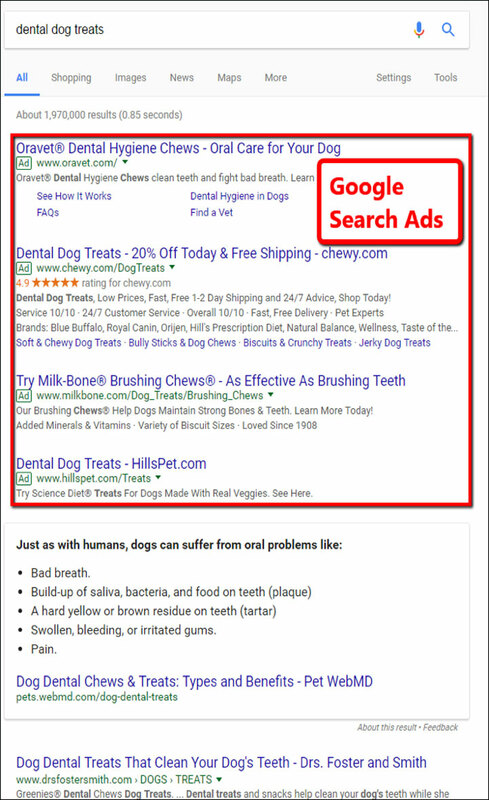 There are only so many people searching for “dental dog treats” in Google. And once you max out that traffic—when you’re showing up for all of those searches—there’s no easy way to generate more searches. This is where the Display Network comes in. The GDN lets you serve your ads to a much larger audience of people who might be really interested in your product or service, but who are not actively searching for it at the moment. Display ads allow you to really expand your reach. It’s a great choice for mass-appeal markets like weight loss because it can send you a tremendous volume of traffic. GDN also works well for topics that have a lot of interest but not a lot of search activity. For example, a person may rarely search for topics related to spirituality… but if you put a good spirituality ad in front of them, they’ll stop what they’re doing and pay attention. So, if the GDN has such great potential, why isn’t everybody using it to rapidly scale their business and bring in a flood of new visitors and customers? Well, the truth is that it’s (unfortunately) rare to see a GDN campaign that is well set-up. Google’s Display Network offers a dizzying array of options and settings, including multiple targeting options and ad types. And if you don’t set up your campaigns well, you’ll end up showing the wrong ads to the wrong people… blowing through your ad spend without generating any sort of return on investment (ROI). As I’ve said, think of The Display Grid as your one-page “cheat sheet” to building out effective Google Display campaigns. It shows you all the different combinations of ad types and targeting options. When it’s all said and done, you will have 147 different ways to narrow down your GDN campaigns to help you scale your business bigger, faster, and more profitably. 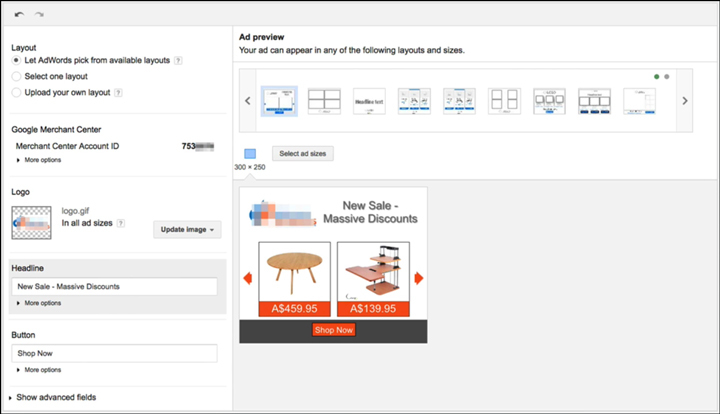 To summarize, The Display Grid gives you a quick visual overview of all 147 different combinations of ad types and targeting options available inside of AdWords. Most advertisers, not realizing just how many options are available to them, end up using the two most basic options: managed placements with image banner ads. But now, with The Display Grid in your arsenal, you’ll never make that mistake. Let’s dig into the targeting options in GDN. 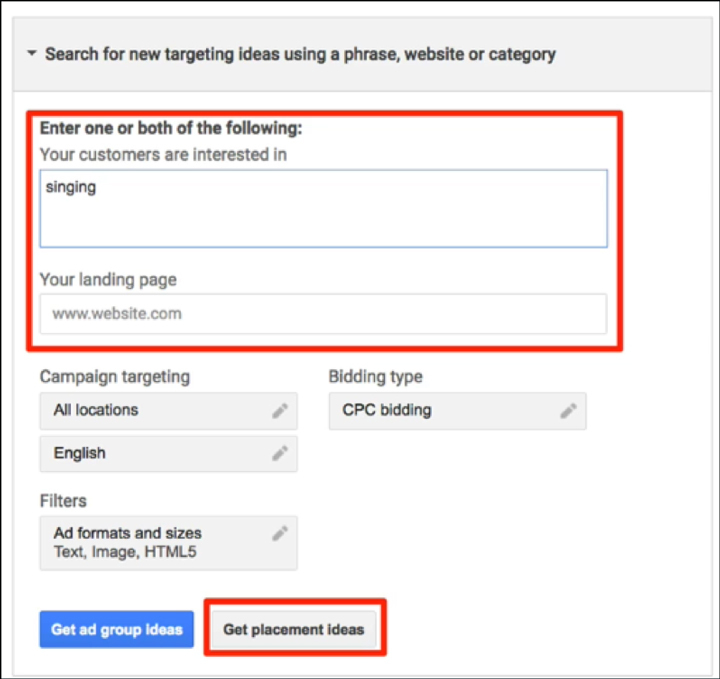 You can group the targeting options into four main buckets: Managed Targeting, Contextual Targeting, Behavioral Targeting, and Combined Targeting. Managed targeting means that you personally choose the websites where you want to show your ads. If you know some of the places where your target market likes to hang out online, you can add those websites to AdWords as a Managed Placement. 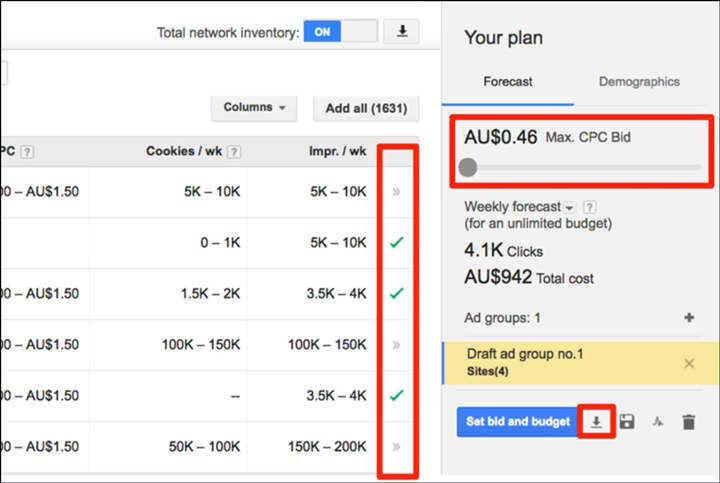 To add managed placements inside of AdWords, we’re going to use a tool called the Display Planner. To show your ads on these websites, all you need to do is scroll through this list, find sites that you think will be relevant to your audience, and add them to your plan by clicking the “>>” button on the right. You don’t want to blindly add all these websites to your campaign because it’s likely that some of the results will be irrelevant to your product or service. Instead (and especially if this is your first time adding managed placements), take the time to dig through the results and find 6-12 good matches to focus on. You can click on the name of each site to learn more about their visitor demographics (age, gender, etc. ), along with some stats on how much inventory there is and the type of ad formats they support. It’s also a good idea to visit the website and take a look around to make sure it feels like the kind of place where your market would hang out online. You can even choose to display your ads on certain sections of sites. So, for example, you could target the entire site www.nytimes.com, or you could target only www.nytimes.com/section/technology to show your ads just to people visiting the “Technology” section of that online paper. The downside is that, because adding managed placements is such a manual process, it’s difficult to scale out your campaigns and discover new websites where your ads might perform well. That said, if you’re new to the Display Network, then Managed Placements is a safe way to get started because you can be assured that your ads will be showing up only on relevant websites. But when it’s time to start really scaling up your campaigns, you’ll need to expand your targeting to include Contextual and Behavioral Targeting. This is where you show your ads based on the context in which they’re being seen. Contextual targeting is a powerful strategy because it allows you to display your ads on websites that are relevant to your product or service, without having to manually pick them yourself. There are two different ways to do contextual targeting: You can target by keyword or you can target by topic. Branded keywords are those that include the name of your brand. This could be the name of your company or a product you sell. If you’re an author, for example, a branded keyword would be any keyword that includes your name, the name of your book, or even the name of a character in your book. Competitor keywords are those that include your competitors’ brands. If you’re an author who writes mystery books, then, branded keywords could include the names of other mystery writers and their books. Because if the visitors to those pages are interested in those other mystery writers, there’s a good chance they’ll be interested in your mystery book, too. Non-branded keywords are those that include the products and services you sell that do not include a branded term. In general, topics are broader and fuzzier than keywords. For example, our mystery writer could choose to target the “Books & Literature” topic. It’s still relevant to his product (a mystery book), but in this case the topic is less precise than the keyword “mystery books” because it will include pages that are related to many different types of books (romance books, science fiction books, etc.). Because topic targeting is less precise than keyword targeting, you will definitely want to take your time and be deliberate in which topics you choose to add to your campaigns. From here, the process is very similar to adding Managed Placements. The next way you can target people on the GDN is through what we call behavioral targeting. With behavioral targeting, we are choosing to target people based on how they have behaved online. And there are two different ways of behavioral targeting: We can target users based on interests or by remarketing. 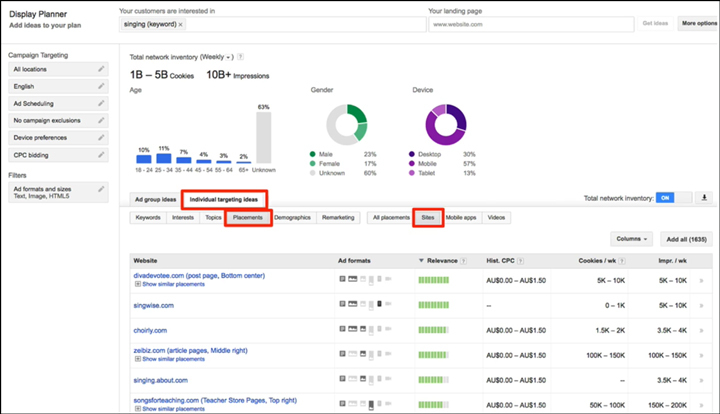 With interest targeting, you show your ads to people based on something they have shown an interest in (through their previous search history). 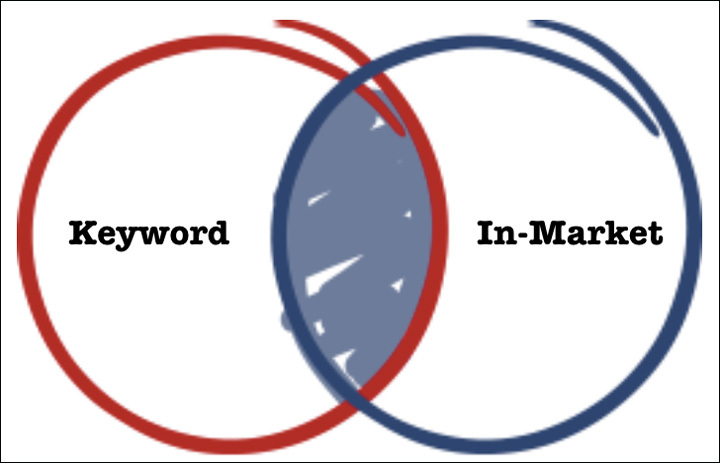 It can be easy to confuse interest targeting with keyword or topic targeting. The difference between them is that with keyword and topic targeting, you’re targeting based on the content on the web page (remember, context). You don’t necessarily care who is visiting that web page… you just want to target websites that are relevant to your product or service. Interest targeting is just the opposite. With interest targeting, you’re targeting based on the interests of the person. You don’t necessarily care about what page the ad is showing up on… you just want to target people who have demonstrated an interest in something relevant to your product or service. Affinity targeting means you can show ads to people based on their long-term search history to target people who have demonstrated a longstanding interest in something. Google uses its vast amounts of data to figure out what type of websites you visit over and over again, which types of websites you spend more time on, and so on, to figure out what your interests are. Google has about 100 affinity categories. In-market targeting, on the other hand, is based on people’s recent behavior in the past one to two weeks. In-market targeting identifies people who are “in the market” for a particular product or service. For example, most people buy a car every few years. So, you wouldn’t necessarily want to serve car ads to all people all the time; a smarter strategy might be to focus on people who have demonstrated that they’re in the market for a new car. Google has about 500 in-market categories to choose from. It can be a little difficult to find all the affinity and in-market categories inside of your AdWords account, so to make it a little easier on you I’ve put together a spreadsheet with all your options. Just go back to TheDisplayGrid.com and click on the tabs at the bottom to view all the current in-market and affinity categories available in AdWords. The other type of behavioral marketing is called remarketing. In the case of remarketing, the behavior you’re targeting is the visitor’s recent decision to visit your website. General remarketing is what most people think of when they hear the word “remarketing.” It means showing your ads to people who have visited your website in the past. For example, you could remarket to someone who added a product to their shopping cart but did not visit the order confirmation page. If you’re running any YouTube ads, you can use YouTube remarketing to tell Google to create a remarketing list of anyone who has seen your video as an ad. You can even get more specific by targeting people who have taken a specific action on your video, such as liking it, commenting, or subscribing to your channel. With customer match retargeting, you can upload an email list and target the people that Google recognizes. This gives you the ability to target people who have subscribed to your email list, regardless of the context of the web page or the person’s Google-defined interests. Dynamic remarketing is where you display a specific product to a visitor, knowing that they have seen that particular product page on your website. For example, DigitalMarketer is running dynamic remarketing campaigns on their certification courses. If you visit one of these pages, like the landing page for DigitalMarketer’s Paid Traffic Mastery Certification Course, then you’ll start to notice ads for that particular course following you around on the Internet. If you run an ecommerce store, dynamic remarketing will probably be one of your highest-ROI campaigns. To set up dynamic remarketing, you’ll need a product or service feed (you can tag your site with various plugins from Shopify or Magento to help you do that). The ad that displays will change based on the various products that the visitor has viewed on your website. The fifth and final type of Google remarketing gives you the option to use what Google calls similar lists. This is the same basic idea as Facebook’s lookalike audiences. It tells Google to go and find people who are similar to another one of your audiences. It’s a good way to scale your campaigns by finding new people who are likely to be interested in your product or service. 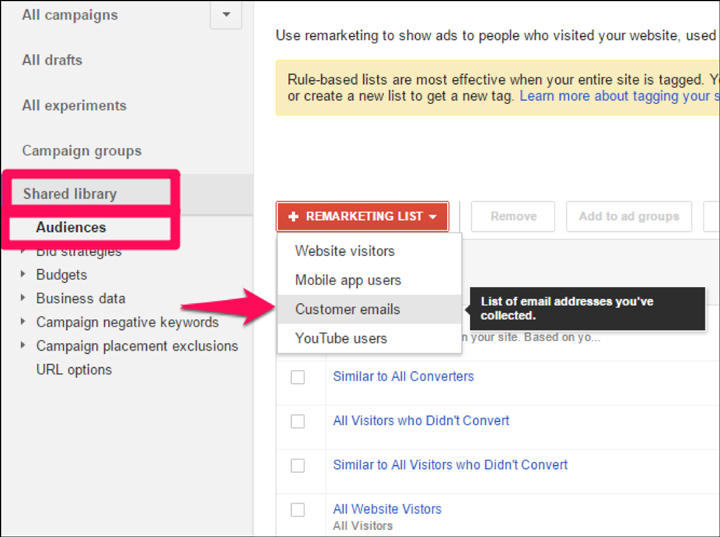 And you can create similar lists based on any of the other types of remarketing. So, you can create a similar list based on YouTube remarketing, dynamic remarketing, customer match remarketing, and so on. Finally, your last option is combined targeting. And this is just what it sounds like: It’s where you use a combination of the options above to create an even more tightly focused campaign. When you use combined targeting, both of the conditions have to be true for your ad to show. It allows you to get even more tightly focused on your market. You can use any combination of targeting options you like, such as keyword + topic, keyword + in-market, topic + in-market, etc. With everything we’ve covered here, you should be looking at the Google Display Network in a brand-new light. When you put the two together, the resulting table shows you EVERY possible ad + targeting combination possible on the Google Display Network. Finally, I’ll show you some of the more advanced ways to use The Display Grid to start building effective GDN campaigns and achieve massive scale in your business. The right ad can make all the difference for your GDN campaigns. This is why it’s so very important to run the best-performing ads possible inside your campaigns. How do you know which ad is going to perform the best? The unfortunate answer here is… you don’t. Nobody knows which ad is going to resonate best with your prospects. I don’t care how much of a marketing expert you are, or how familiar you are with your target market. You never know for sure which ads will work best until you test them. And that’s why you should always be testing many different variations of each type of ad in your Display Network campaigns. Unfortunately… I’m not a big fan of responsive ads (at least not yet). The problem with Responsive Ads right now is that you don’t get enough control over how they display or what the performance was of those ads. I like to be able to specify how I want my ads to appear in more detail—so I know exactly what size it will be, exactly what the text will say, and so on. Why am I such a control freak? Simply because I know that the performance of an ad can vary tremendously, even when the only difference is the ad’s size. For some of our accounts—about a quarter of them—switching to Responsive Ads improved our results. But for the remaining three-fourths of accounts, performance actually got WORSE when we turned on responsive ads. 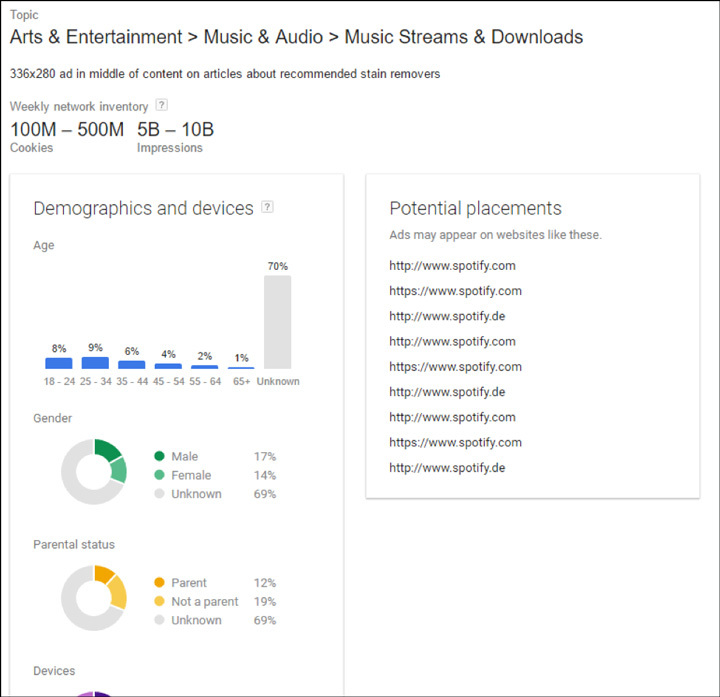 Then Google will mix and match these elements to fit your ad into many different placements spots across the Display Network. 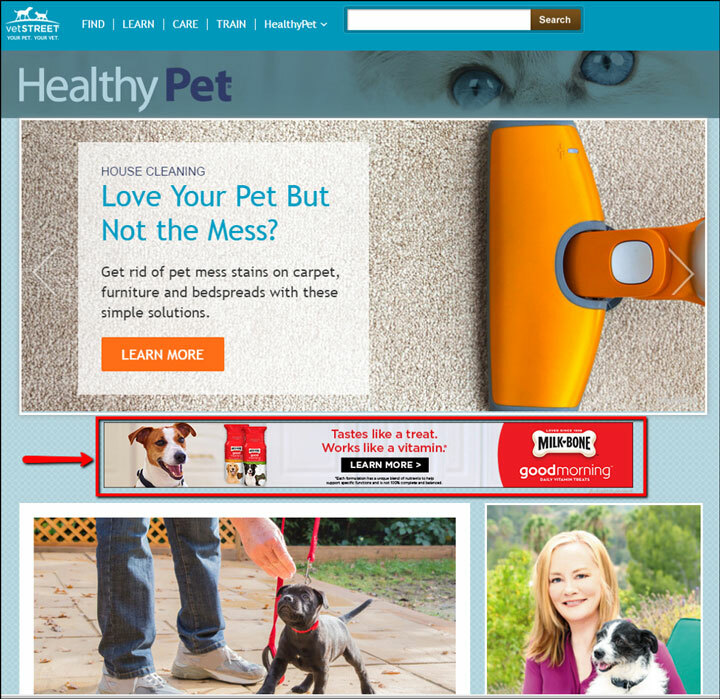 Most people start their display campaigns with image ads, and with good reason. A good image ad can stand out on a web page, grabbing your prospect’s attention and send a steady stream of engaged traffic to your landing page. And because they come in many different sizes, image ads also have a lot of placement options available. Now, here’s a little hint to help you create better image ads: When most marketers are getting started, they’ll pay a designer to create one image ad in 14 different sizes. One ad in 14 sizes is still one ad. You aren’t really testing any variations, and your chances of hitting a homerun with your very first ad are very low. Then, after you’ve found an image design that performs well, you can start to test different sizes. As you can see, there aren’t many options here. That’s because you’ll need to have your image ads already created by a designer before you upload them to Adwords. You can use this tool to create your first few banner ads in a matter of minutes. But if you’re serious about scaling your campaigns on the Google Display Network, eventually you will want to have your own ads created by a professional. My company, WebSavvy, now offers this service based on all the data we’ve collected spending millions of dollars on ad spend and testing literally tens of thousands of different ads. This new format gives you more room to write some convincing copy and convince website visitors to click through to your landing page. Text ads don’t stand out, visually, the same way that image ads do. But there are some significant benefits to running text ads. For one thing, text ads are quick and easy to create… which makes them a great way to test new ads quickly and get fast feedback on which marketing messages are resonating with your prospects. From here, simply add your text along with the final URL of your landing page. While you’re at it, you might as well go ahead and create at least a handful of different text ads. Write a new ad that focuses on each of your product’s or service’s main features, benefits, and selling points. Once you find which text ads convert best, you can use the copy from those ads to create a killer image ad! Other ad options include App, Lightbox, and Video ads. These are beyond the scope of this article, as they’re used by only a tiny small fraction of advertisers. This is one of the most commonly overlooked types of ads in the Google Display Network, which is a real shame—because Gmail can be one of the best-performing placements on the entire Display Network. If they click on this expanded ad, then they will be taken to your landing page. Very few people are doing these product ads inside of Gmail right now. You know what that means? There’s a big opportunity there for anyone in ecommerce! Don’t forget that the Display Campaign also handles advertising on YouTube, which is a pretty big deal in its own right (it’s only the #2 search engine in the world 🙂 ). Many marketers write off YouTube ads altogether because they don’t have video ads or assets. But you don’t even need videos to get started with YouTube ads! YouTube offers four different ad types, and only half of them require a video on your part. Just be sure, when setting up YouTube ads, to put them in a separate campaign—because you can get much cheaper clicks on YouTube, and you’ll want to keep those campaigns separate to keep your data clean. 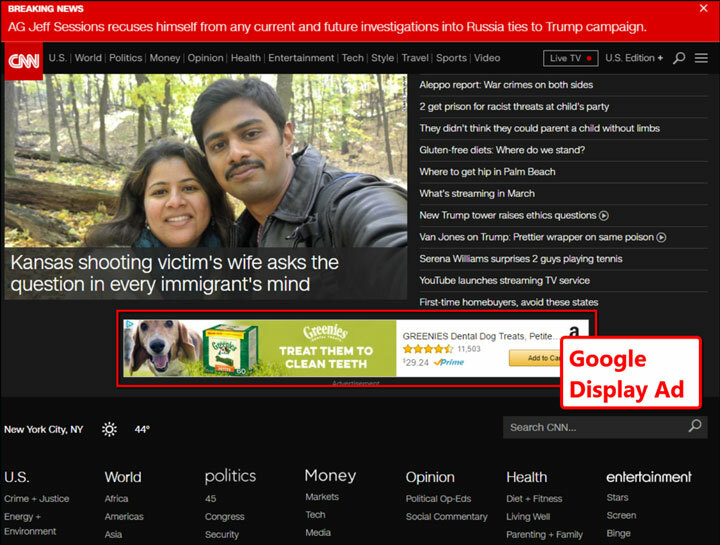 Just as with the rest of the Google Display network, YouTube allows you to place image ads (almost all placements you’ll have access to are the medium rectangle size, 300×250). If you’re precise in your targeting, your ads will show up next to highly relevant videos—which means the person watching the video has a good chance of being interested in your ad. Overlay ads are 480×70 pixels and can include an optional companion banner (300×250) if you want both an overlay and a banner ad to display in the same video together. In-Stream video ads are a great way to get your prospects’ attention with a video that is funny, helpful, interesting, or surprising in some way. After five seconds, users have the option to skip the Video Ad and jump straight to the video they’re waiting to watch. Skippable TrueView Video Ads can deliver a great return on investment, especially because you won’t be charged for people who skip your ad after five seconds. Instead, you’re charged only when the viewer interacts with your video (such as clicking on one of your call-to-action links) or watches at least 30 seconds of your ad. Non-skippable ads can’t be skipped, and, because of that, they are usually shorter in length—running 15, 20, or 30 seconds long (although Google announced that they are doing away with 30-second non-skippable ads in 2018). YouTube also offers a non-skippable six-second video ad called “Bumper Ads.” Both of these types are bought in a different way and it’s totally fine to ignore these for now. Video ads are the MOST difficult and time-consuming type of ad to create, so unless you are already doing video, I would recommend getting started with text and image ads first. Once you nail down which marketing messages are the most effective, you can translate those messages into video format and really scale your campaigns on YouTube. This type of ad allows you to promote a YouTube video in “places of discovery,” which includes YouTube search, alongside relevant YouTube videos, and on the mobile homepage of YouTube. Because these ads require the visitor to click on them, they typically bring in highly engaged traffic. We’ve now covered all the different targeting and ad type options available to you inside of the Google Display Network. 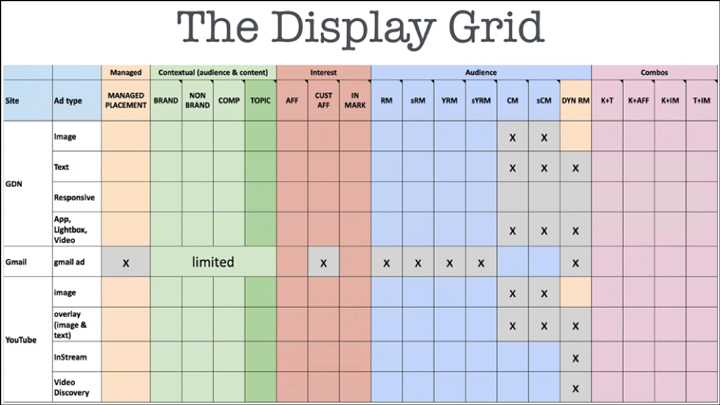 This grid shows you every possible combination of ad and target type inside the Google Display Network. Altogether there are 147 different combinations. Now, at first, that number might sound intimidating. Does that mean you have to open up your Adwords account and create 147 different campaigns? Thankfully, no. Because depending on your business, market, and offer, some combinations will make sense more than others. So, the next thing I want to do is help you narrow down your options, so you can get started with the most effective campaign types. Don’t worry, I’m not actually going to start drinking a beer right now. But there’s another BEER I want to go over now too, and this one is going to help you to find the most profitable GDN campaigns as quickly and efficiently as possible. Start with what is most likely to be profitable. So, what IS most likely to be profitable? Assuming you already have traffic coming to your site, Remarketing is almost certain to be your lowest-hanging fruit. If you aren’t remarketing, you’re leaving money on the table. After setting up remarketing, your next step should be to set up Customer Match. This allows you to show ads to your buyer list, which should generate a TREMENDOUS ROI on your ad spend. Once that’s done, you should also create a separate campaign targeting people who are similar to your customer list. Next, take a look through the in-market categories to see if one applies to your business. If it does, this is a great way of targeting people who are in the market for your product or service. When you’ve finished taking advantage of in-market targeting, next it’s time to turn to contextual targeting. Your ads will be shown alongside relevant content, so these ads should bring you a steady stream of highly engaged traffic. Finally, notice that #5 on the list above (affinity) is crossed out. Generally speaking, you don’t want to use affinity targeting on its own. Feel free to test it in combination with other targeting methods, but by itself, it’s just too broad. It often leads to your ads showing up all over the Internet, resulting in some of your least profitable Display Network campaigns. Gender: If your product is particularly skewed to one gender or the other, you should start by only showing your ads to that one gender (at least for now). Location: Is your product capable of being sold all around the world? That’s great. But it doesn’t mean you should target the entire world. Instead, use the 80/20 principle and start by targeting just the U.S. Heck, start by targeting just California, or San Francisco. The GDN is such a huge network that you can begin with very tight targeting and still generate TONS of traffic. Age: If your product skews to a certain age group, start by excluding all other age groups. Selling women’s fashion for 18-25-year-olds? Don’t show ads to anyone over 25. Selling travel insurance for seniors? Don’t show ads to anyone under 55. Device: If your audience has an up-to-date phone, you can target them specifically by their device. Selling iPhone accessories? Only show your ads to people using an iPhone.You can also use this information to target desktop/mobile users in general. After you get a little data, you may find that your campaigns perform better on either desktop or mobile. If that’s the case, then only run your ads for those users! Automation is a great way to improve your campaign performance while also saving time. Here are a few examples of some easy-to-set-up automations to get you started. When automating your ads, look at cost per acqusition (CPA) first and foremost. As your campaigns start to generate data, you’ll start to discover placements that don’t perform well. Please don’t try to go through all your placements by hand, though. There will be way, way too many to go through manually. Instead, I like to write a simple script to pause poor-performing placements automatically. You can schedule it to run every day, or even hourly, to minimize any wasted spend on these poor-performing placements. By this point, you’ve got at least 6-12 campaigns running. Some of them will be very profitable, some will be borderline, and others will be losers. What many marketers do at this point is to focus on the losing campaigns, trying to fix them. This is the wrong approach! Instead, you want to pause the big losers and work on scaling up the campaigns that ARE working. And you’ve expanded your winners to scale up. All that’s left to do now is repeat the process again using a new square from The Display Grid! This gives you a repeatable process you can use to scale your campaigns, over and over again. There’s almost no limit to how much scale you can achieve using this method. To profitably scale your campaigns on the Google Display Network as quickly and efficiently as possible, you’re going to have to FAIL. A lot. …because they know they have to find the losers in order to find the winners. So, don’t be afraid to fail. Be bold, and know that you will create some losing campaigns. But in the process, you’ll also find the winning ad + targeting combinations that will help you achieve massive scale in your business. Hopefully, the Grid has given you a different way of thinking about scaling up your campaigns, along with some new ideas to get better results from the Google Display Network. Mike's approaching veteran status in the digital marketing world. Mike is the CEO & Founder of WebSavvy and AgencySavvy and co-author of the world's best-selling book on AdWords The Ultimate Guide to Google AdWords. He's in his 14th year of building and running Google Ad campaigns for businesses and brands all around the world at WebSavvy. As well as being in the trenches with his team and doing the work for clients, he teaches a few hundred competitor digital marketing agencies how to improve the technical "how to do Google Ads and Facebook Ads better" side, and how to grow and scale their businesses at AgencySavvy. Mike's married to the amazing Gabbi and lives in Melbourne, Australia. When he's not playing in the Google machine, you'll find him in a forest on a mountain bike or elbow-deep in Play-Doh with his 2 gorgeous daughters. Previous Post Marketing Reading List: What a 125-Year-Old Brand Can Teach Us About Social Media, Mark Zuckerberg’s Reading List, the Death of YouTube Annotations… And More!